I don’t know about you, but when we were kids, Power Wheels were the premiere presents when it came to kids’ride-on toys. Sure, tricycles and bikes were brilliant, a wonderful gift, but only the coolest kids on the block were rolling around on four wheels of electrified entertainment. Safe. Stylish. Fun for anyone four years and younger —even mom and dad. They were, and still are, hard gifts to forget, especially for young, budding minds. 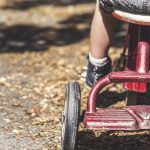 (In fact, we wouldn’t be surprised if many a kid’s first real memory wasn’t of putting the pedal to the metal and twisting that wheel, cutting corners in their very first “car.”). Which is why we’ve taken the time to put together the best Power Wheels reviews for those of you looking for the best Power Wheels for grass, toddlers or for your fast- and fun-loving little girls. Below in this post we have covered several popular Power Wheels. However, if you don’t have time to read all of this and just need a quick recommendation, consider checking out these well-rated items (note: clicking on any will get you to the product page on Amazon with more information, customer reviews and all other details). Naturally, when it comes to battery-powered, ride-on cars for kids there are not only original Fisher-Price Power Wheels available these days. There are plenty of others brands. In this article, we’ll focus on Power-Wheels branded ride-on cards, but we invite you to read our post on the best electric cars for kids, where we discuss more brands. A long-standing, American-based brand, birthed on the west coast, Power Wheels first revved their battery-operated engines back in 1984. That accounts for over three decade’s worth of wheeling, dealing, devising and designing in the world of tyke-sized cars, trucks, trains, motorcycles and kids’ ATVs. The thing is, we’re hardly alone in our ecstasy. If Amazon reviews are to be believed —and we think they are —Power Wheels remain one of the most reliable and praise-worthy products on the market today, collecting four and five star scores from everyday moms and dads. And why not? Some of the most iconic American cars, trucks and bikes are now built by the brand, including Power Wheels such as Ford Mustang, all-time famous Ford F-150, super fast sport car like Chevy Corvette, offroad cars like Cadillac Escaladesor Jeep Wranglers and motorcycles like Harley Davidson, just to name a few. And with options like realistic radios, doors, retractable hoods, Power Lock brakes, lift-and-lower tailgates, life-like headlights and backwards mobility to boot, it’s really hard —fan or not —to find fault with those Power Wheels for sale this side of the 21st century. But, like anything else, they’re not without their weaknesses. Did you know? The word toddler comes from the word toddle, which means to move with short, unsteady steps. If you’re a parent, you probably did. Once kids eclipse that year mark, they’re bound to run around, head first and never sit still. Luckily for us though, we have the power of technology to help us quench that thirst for burst, that need for speed, and aid us through the first three years. Here are the best toddler Power Wheels we could find for your speed-needy toddler. Its body is low to the ground for easy access, it has built-in footrests for their feet and it comes with a super cool cargo rack on the back so that they can haul the rest of their toys —or even help do a couple of household chores. Durability’s amazing. It lasts a long time, up to five years if you take care of it, including the battery. It’s not so great on grass though, or on gravel or any other slippery form of outdoor terrain. Does best on flat, solid surfaces. Minor adult assembly is required. Does not go in reverse. Needs to charge for at least 18 hours before initial use. There’s not much difference between the Lil’Lightning McQueen and the Lil’Quad except for their outward designs and overall accessories. It drives, with the push of a button —located on the wheel —at the same speeds, 2 miles per hour max, on hard, flat surfaces, and is powered by a 6-volt rechargeable battery (charger included). It, too, is low to the ground and comes with wide open doorways for easy access. Designed for kids aged 12 to 36 months, but, again, we’d advise against buying for anyone over 2 years old —unless you think they’re short enough. Unlike the Lil’Quad, however, the Lil’Lightning McQueen offers a trio of sound modes, including Lightning McQueen catchphrases and sounds, spoken in English or Spanish, or just the race car sounds alone. Lightning McQueen decals also make it one-of-a-kind. Battery life is brilliant. Charge lasts for a long while, for days and sometimes weeks on end —depending on how often they use it. Adult assembly is required. Does not go in reverse. Needs to charge for at least 18 hours before initial use. Built for kids 12 to 36 months old, but you probably shouldn’t buy it for anyone over two —unless they’re smaller for their size. Also, it doesn’t come with any sweet accessories, like sounds or extra storage, aside from the fact that it looks like every kid’s favorite tank engine. Adult assembly is required. Does not go in reverse. Needs to charge for at least 18 hours before initial use. Girls make the world go round. Ask anyone you know. Without their bright smiles, somewhat subdued demeanors —at least when compared to their often wild-and-rowdy opposites —and the way they make our days dazzle like never before, it’s hard to imagine a life lived without them. So give us one good reason why they wouldn’t deserve the most fun on four wheels that money can buy? Just call it their sweet sixteen (months). Here are the best Girls’ Power Wheels on the market. 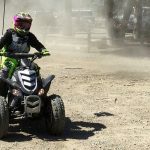 As the name suggests, the Barbie Lil’Quad contains everything there is to love about the original, only it comes painted in pink and decked out in Barbie-themed decals. It contains the same 6-volt rechargeable battery (charger included), powered by a button —located on the handlebar —and the same 2 miles per hour maximum speed. 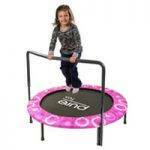 And, since girls are often a little lighter than boys, we can fully recommend it for the full 12 to 36 month age range. Also, unlike the boy version, this one boasts a Power Lock brake system that will ensure that your little princess will remain prim, proper and well-protected. And it’s just as durable, as well. You could probably drop it down a flight of stairs and it wouldn’t break. (Though we wouldn’t recommend it). Minor adult assembly is required. Does not go in reverse. Needs to charge for at least 18 hours before initial use. 6-volt rechargeable battery (charger included). Secure yet thrilling 2.5 miles per hour maximum speed. You know the drill. Let’s get on to the good stuff. Doors that open and close. Power Lock brakes. Single foot pedal operations —no buttons here! It even goes in reverse! In fact, the only thing that separates this VW Bug from the real thing is it’s Barbie-themed exterior and the fact that it’s only built for kids aged 12 to 36 months. The decals are DIY, and difficult to apply —unless you use Windex and a credit card to prevent creases and dissolve bubbles. And it’s not so good on grass. Does great on hard surfaces though. And the battery lasts for days. Minor adult assembly is required —for the stickers. Needs to charge for at least 18 hours before initial use. Driving alone is fantastic, but let’s be honest, it’s always more fun with a friend, especially for a 3 to 5 year old. And that’s exactly what your little girl will be getting with this Barbie-themed Jeep. Powered by a 12-volt rechargeable battery (charger included), the Barbie Jammin’Jeep Wrangler has two forward speeds —2.5 and 5 miles per hour max —and has plenty of room for them and one other —as long as they don’t topple 130 pounds combined. It drives in reverse —up to 2.5 m.p.h. —has a pair of easy-to-open doors and comes equipped with a rear storage area for extra dresses —or dragons, or whatever they might like. The pretend radio has 6 “jammin’tunes”and requires 3 AA batteries (not included). 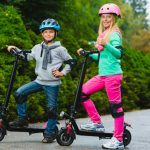 Goes great on grass and is fitted with the ultimate in safety standards, including Power Lock brakes and a high-speed lock-out —applied by the parents —for those unsure beginners. Extensive adult assembly is required —so be ready. Needs to charge for at least 18 hours before initial use. As parents, we want our kids to be trailblazers, unafraid to forge new roads, create new paths; in life, love and the pursuit of happiness. And what better way to help them embark on a life filled with broken molds and unpaved paths than to let them do a little off-roading right here in the beginning. That and, for anyone three years and older, going off-road in a pint-sized ATV is an all-around awesome time. So whether you’re buying to brighten your son or daughter’s philosophical future or just so that they can have a car-full-of fun with their friends, consider these four reviews of the best Power Wheels for grass and off road. Ready for a rip-roaring good time —lived vicariously through your kids, of course? Well that’s exactly what’s in store with the Power Wheels Dune Racer – one of the best Power Wheels out there! 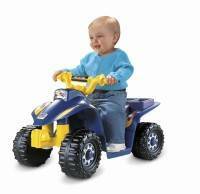 Powered by a 12-volt rechargeable battery (charger included), rolling on a set of heavy-duty wheels with Monster Traction, this little vehicle can get up and go on a variety of different surfaces. Wet grass. Dry pavement. Roughness. Roots. Ruts. You name it. Adult assembly is required. Needs to charge for at least 18 hours before initial use. The Kawasaki Brute Force Camouflage might be the closest your kids are going to get to riding around in an adult-style ATV. 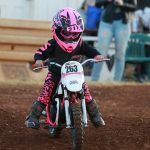 We covered this one earlier, in our post about best 4-wheelers for kids, but it’s worth covering in this post as well. 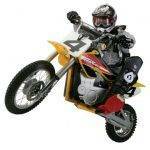 Powered by a 12-volt rechargeable battery (charger included), it goes forwards —at 2.5 and 5 m.p.h. depending on the settings applied by the parents —and backward —at 2.5 m.p.h. —and comes equipped with a Power Lock brake system for safety assurance. Suitable for kids aged 3 years and older —up to 5 or 6, depending on their size —it’s honestly a great buy for any aspiring outdoor adventurer. Adult assembly is required. Needs to charge for at least 18 hours before initial use. Boys want to be like their dads. And dad’s love trucks. So it’s a bit of a no-brainer to assume that your son —or even daughter — will thoroughly enjoy the Power Wheels Ford F-150. Four formidable tires will take them on the ride of their lives, over grass, concrete, even dirt. And though it doesn’t drive as fast as some of the other off-roaders on this list —maxing out at a mere 3.5 miles per hour, in forward and reverse —it comes equipped with a realistic pretend engine and plenty of rear storage space for the ultimate in mom-and-dad-style experiences. Powered by a 6-volt battery, paired with a Super 6-volt charger, this Ford F-150 is best used by kids aged 2 to 5 years old. Adult assembly is required. Needs to charge for at least 18 hours before initial use. If the Kawasaki Camouflage is the closest to a real-deal ATV experience, then the Kawasaki KFX might just be the 1b to its brother’s 1a. It’s hard to argue with the many adult-style amenities that come equipped on this pint-sized four wheeler. As it was with the Camouflage, it’s powered by a 12-volt rechargeable battery (charger included) and is best ridden by kids aged 3 to 6 years old. Adult assembly is required. Needs to charge for at least 18 hours before initial use.